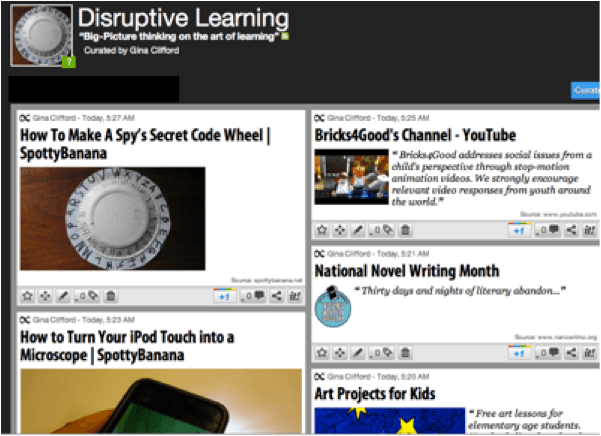 eLearning Design and Development / Test And Assess – Be A Curator! Test And Assess – Be A Curator! Paint cures but what’s that to do with testing? Curation as a process has been going on a long time; you probably had teachers who shared reading lists, sites of interest, things to do on your next family vacation. 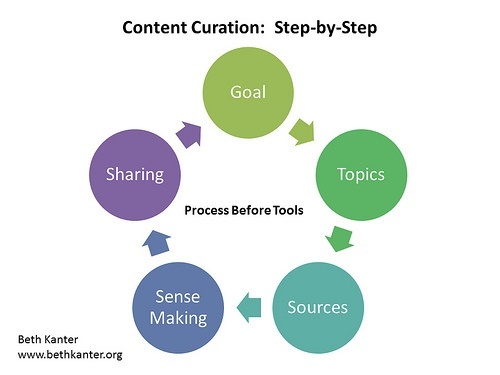 Content curation is the process of reviewing content from various sources and formats and then synthesizing the key items into an organized theme providing meaning and context and then sharing with like-minded community members. How does this fit into our traditional instructional framework? 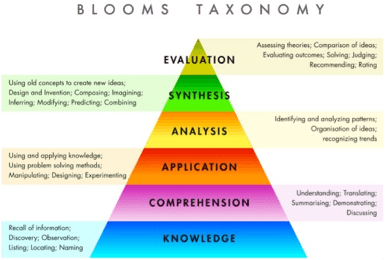 Let’s start with a look at two models that have a lot in common, Bloom’s original taxonomy model and the Engagement Pyramid proposed by Charlene Li and Jeremiah Owyang. The learning process begins with knowledge where we discover, observe (Bloom), or watch (Li & Owyang). Comprehension leads to the application of knowledge and skills acquired by solving, designing, and sharing. As we begin to work through our understanding we analyze, recognize trends, and comment on them. The synthesis phase brings composition and combining of data, of modifying and producing new ideas. Finally, as we reflect and evaluate, we judge, recommend, and curate to others. Leadership development is a long term investment in people across the enterprise; Bank of America recently shared their 12 month program at the IQPC Corporate University conference. Leaders from different parts of the business are engaged in varied topic complete with 30 day action plans, interactions with mentors and members of the cohort, scorecards and innovation labs. I would propose adding a curation presentation to demonstrate that the individual has obtained a level of “expertise”, that they have been able to “organize,” and “synthesize” the component of the program and share with their colleagues. At the end of the year this may be a presentation to senior leadership allowing them a snapshot of the culture and the business from the perspective of the operational leaders moving into more advanced levels of responsibility. This could look like an annual report done in a “ScoopIt” format or a visual story shaped around “Pinterest”, the assessment strategy focuses on the individual demonstrating their analysis and synthesis of the content and producing an example that demonstrates a level of competence and shares it in a format that the community of users can easily understand and apply appropriately. 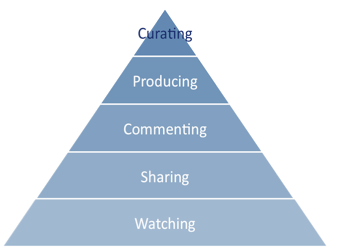 Curation has a place in the operational level when merging resident experts and new users. 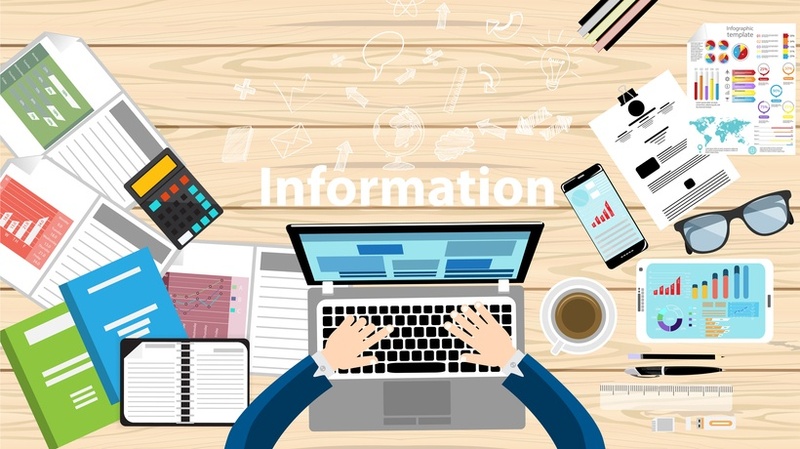 It is within the context of the issue that the individual can provide focused information directed to help the community of users and learners make sense of it all. Robin Good said that “curation is about making sense of a topic/issue/event /person/product etc. for a specific audience” and here is where our instructional and design skills can be maximized. We can work with the content curators to help them create solutions so the learning community can “see” different ways to solve the problem be it text, graphic, video, or a mix. From the assessment perspective we can put in place a design and delivery model for the curator that is consistent, contextual, and easily understood by the end user. In doing so we engage the author as a strategic partner guiding them to selectively choose content objects that will engage the user community, tell the story the learners want (or need), and inspire action that leads to their success. An active assessment strategy is a vital component of the learning experience and should be designed to focus on ways to enhance the understanding of the content within the context of the problem/situation and promote critical thinking skills the learner will use throughout their professional and personal lives. Just as portfolios showcase products and performances over time, content curation exhibits the individual’s efforts, progress, and achievements in a specific area, actively leading to long-term, engaged learning and their participation as active and practicing community members.